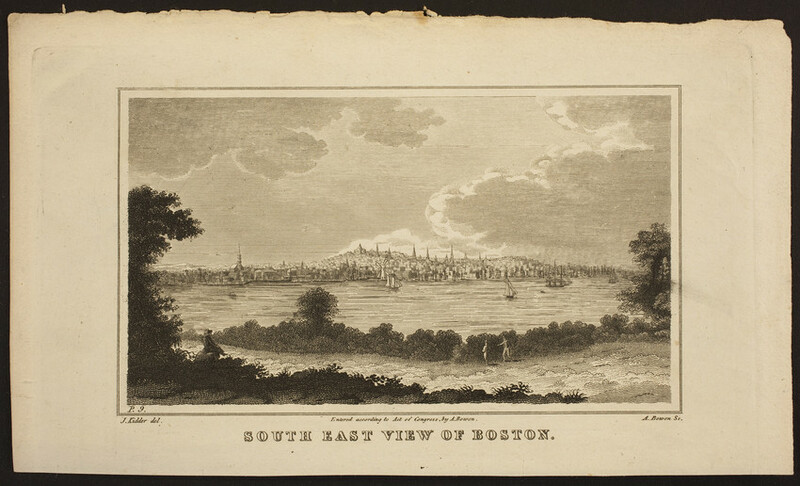 This engraving presents a detailed, distance view of southeast Boston, Mass. A windmill on the shoreline, boats in the water, and a landscape are depicted in the foreground. This is plate 9 printed by the Boston Bewick Company.